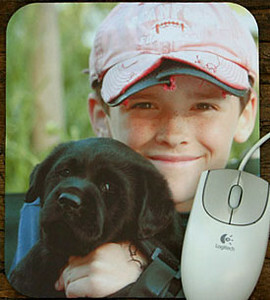 The mouse pad measures 9 x 7.75 inches, so your mouse has room to move. It's made of high-density neoprene with a linen cover that won't let the mouse skip. It's easy to clean, with stain resistant finish. Great gift item for teachers!